New York Times Bestseller: “The book that could bring the human race a little closer to rescuing itself” (Naomi Wolf). 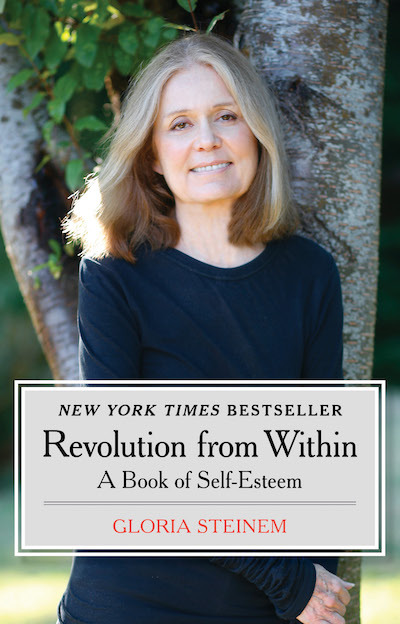 “Without self-esteem, the only change is an exchange of masters; with it, there is no need for masters.” —Gloria Steinem When trying to find books to give to “the countless brave and smart women I met who didn’t think of themselves as either brave or smart,” Gloria Steinem realized that books either supposed that external political change would cure everything or that internal change would. None linked internal and external change together in a seamless circle of cause and effect, effect and cause. She undertook to write such a book, and ended up transforming herself as well as others. The result of her external plus internal reflection is this bestselling and truly transforming book: part collection of personal stories from her own life and the lives of many others, part revolutionary guide to finding community and inspiration. Steinem finds role models in a very young and uncertain Gandhi as well as unlikely heroes from the streets to history. Revolution from Within addresses the core issues of self-authority and unjust external authority, and argues that the first is necessary to transform the second.